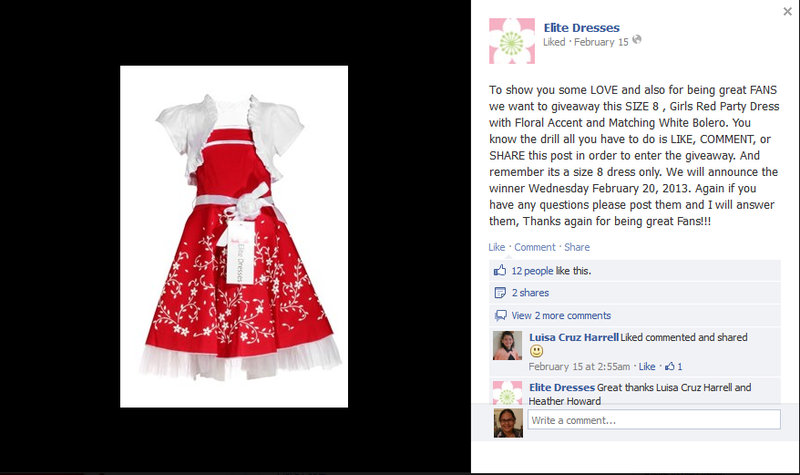 Head on to Elitedresses.com's Facebook page and you might be our dress giveaway winner! All you have to do is LIKE, COMMENT, or SHARE this post in order to enter the giveaway. And remember its a size 8 dress only. We will announce the winner Wednesday, February 20, 2013.